Deciding to undergo surgery can be a scary and overwhelming experience, especially for patients who have trouble losing a significant amount of weight. Post weight loss surgery, or bariatric surgery, can provide patients with the figure they desire using a series of surgical procedures. 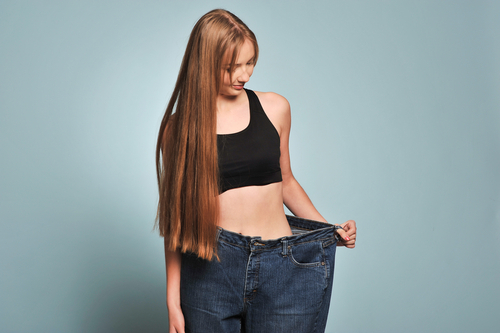 While post weight loss surgery can enhance your overall figure and self-esteem, taking the time to understand the procedure itself and making the proper arrangements before your surgery is just as beneficial as your results. Below are some helpful tips to prepare for your procedure and to ensure a stress-free experience. How long with the procedure take? Certain plastic surgery procedures that require an extensive amount of time to perform typically include a long recovery period. Because post weight loss surgery consists of a combination of several procedures performed in one sitting, you might need more time off from work after your procedure. Be sure to plan ahead and talk to your boss to request the appropriate time off you will need for your procedure. Arranging a ride to and from the hospital ahead of your scheduled surgery is one less thing to worry about when the big day arrives. Make sure you get in contact with a family member or close friend you trust to have them take you to and from the hospital. It is also important you and your designated driver set arrival times for picking you up at your home and the hospital after your post weight loss surgery. If you have been prescribed certain medications that you take daily, be sure to speak with your surgeon about this during your consultation. They may ask you to stop all medications for a few weeks before and after your procedure to prevent any risks, side effects, or poor wound healing from occurring. Being in good physical health is essential to a successful procedure. Smoking and drinking can have a significant impact on your final results. Therefore, if you are someone who enjoys smoking and drinking alcohol on a daily basis, chances are you may need to quit for a short while before and after your procedure. To schedule a consultation, please contact us today! Now that you have undergone your post weight loss surgery, it is important to follow all post-operative instructions given to you by Dr. Henry. Depending on the number of procedures performed and how much excess skin and fat was removed, it may take a couple of weeks to fully recover. During the first few days of your recovery, you will be asked to wear a compression garment around the treated area(s) to protect your new contours and minimize swelling. It is essential that you do not get your wounds wet as they will need time to heal. After you have been permitted by Dr. Henry to wash up, be sure to use a rag with warm water to gently clean around the treated area(s) when washing your body. If drainage tubes are applied, it is important that you also empty out any excess fluid or blood as instructed by Dr. Henry. Swelling and bruising will most likely occur following your body contouring surgery. You will be asked to avoid all strenuous activities that can put stress on your body for at least six weeks. During those six weeks, you will be encouraged to take light walks around the house so blood can continue to flow through your body. This will also ensure that blood clots do not develop as you recover. You will be able to return to work two to three weeks after surgery unless you are told otherwise by Dr. Henry. Once your body has fully recovered, you will notice your figure looking slimmer and more toned than before. However, it is just as easy to regain stubborn fat depots if you are not careful. Eating a balanced diet of fruits, vegetables, and proteins while also having a strict exercise routine can help you keep that slim figure. Making sure you stick to these methods can help you maintain your results for years to come. To learn more about our post weight loss surgery, please contact our office at 415-997-0918 or schedule a consultation with us online today! Get in touch with Dr. Henry by filling out the form below with any questions or comments you have.